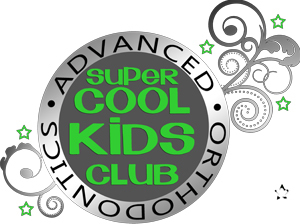 Advanced Orthodontics’ Super Cool Kids Club is a way for us to monitor our patients after their consultation! We will continue to see your child back for checkups every 6, 9 or 12 months. 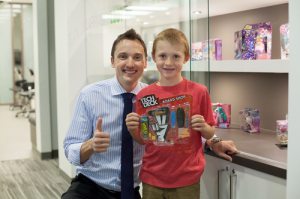 This allows Dr. Larrabee to pinpoint the perfect time for orthodontic treatment, minimizing treatment length and cost. Dr. Larrabee and the American Association of Orthodontics recommends that children receive their initial evaluation from an orthodontist by the age of seven. 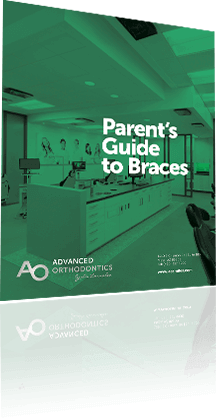 A lot of parents, referred by their general dentist or pediatrician for a complimentary consultation, are concerned that “seven is too young to be thinking about braces?”. By the age of seven, most children have begun to lose their primary teeth, and their adult teeth are making their way in. At this point, most orthodontic problems can be identified; sometimes it is what you CAN’T see that can be the problem. As a member of our Kids Club, your child will earn “Larrabee Loot” as part of our rewards system. They can earn Loot by coming for regular appointments, excellent oral hygiene habits, as well as community service and having good grades in school!